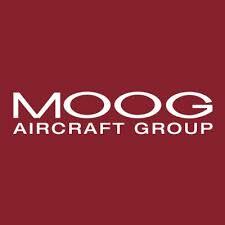 Kick start your career at Moog Aircraft group - Wolverhampton operations which are based on the I54 Business park in Wolverhampton. Moog is a global company with facilities all over the world. A spokesman said: “Our headquarters are in East Aurora, New York State. Here at Wolverhampton, we support the Aircraft Group and the Aerospace Industry. We have a rich heritage in Wolverhampton, with a presence in the area since 1936 under Boulton Paul, Dowty, Smiths Aerospace and GE Aviation. Moog work at the cutting-edge of engineering technology providing flight critical components for the world’s largest programmes from Airbus A350 through to the F35 Joint Strike Fighter. You’ll get the chance to work on Commercial and Military programmes with technology that pushes boundaries. The spokesman added: “We have a performance culture that empowers and inspires individuals to achieve remarkable things - for our customers, for the company and for each other. “We work in an environment where people trust, respect and encourage one another. We believe in our people and it shows in everything we do. “Our aim is to make high-performance products that are the best in the industry, admired by customers and envied by competitors. This means delving into very complex problems and inventing solutions based around the very latest technology, always staying a few steps ahead of the game. “We believe in doing the right thing. Kerys Hill, 1st Year Apprentice, said: “Becoming an apprentice in September 2017 is one of the best opportunities I’ve had so far. Being the first female apprentice at Moog in 15 years makes it even more exciting. “Most of my family are in the field of engineering and I know that an apprenticeship will teach me new skills for my future career. “I was always certain that I wanted to go into a career that was hands-on and practical; working in a machine shop. “I am currently at college gaining an understanding of engineering before my work rotations commence in year 2. The college course offers both practical learning with machining and theory. “I am learning how to machine conventionally, such as milling and turning. I have already developed an understanding of the machinery used and its operation which will be of benefit when I am training to be a CNC machinist at Moog.